Can I Put Solar Panels on a Wall? Vertically mounted solar panels produce power, but not optimally. 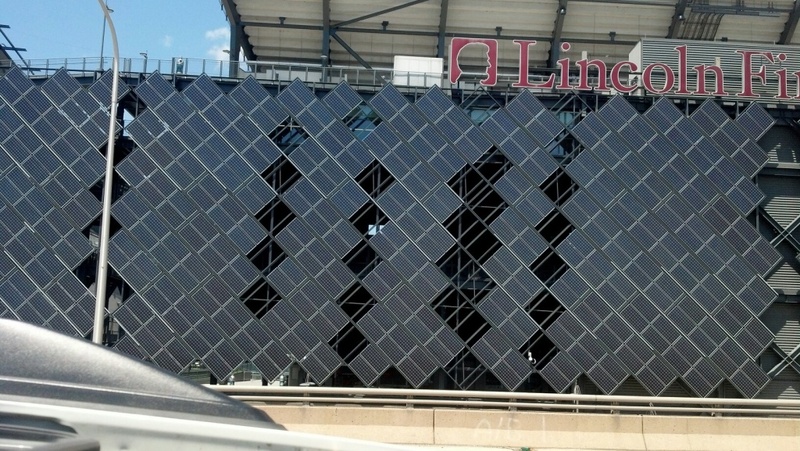 A friend just sent me a picture of solar panels mounted vertically along a wall at Lincoln Financial Field in Philadelphia. 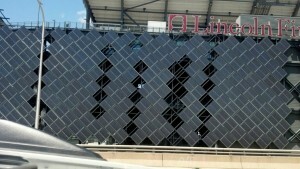 Can solar panels on a wall really work? 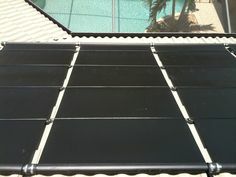 Solar panels perform better with direct sunlight. Here in Southwest Florida, the sun reaches a maximum angle above horizontal of 86°on June 21 . On December 21, the shortest day of the year, the sun only reaches an angle of 40° above the horizon. On average, the maximum daily angle, also known as azimuth, is about 63°. In Philly, the Sun’s average maximum daily angle above the horizon is only 50°. 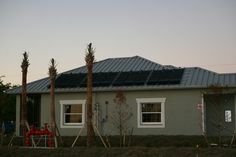 In both locations, energy production is significantly impacted when solar panels are mounted vertically, but to a greater extent in Florida. 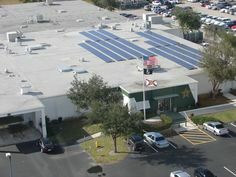 Compared to an optimal tilt angle facing south, vertically mounted solar panels facing south would suffer a 42% loss in annual production in Southwest Florida. In Philadelphia, the annual production would be decreased by 33%, still significant, but easier to justify. Obviously the installation at the Eagle’s home field* is not optimal, but it does produce power and it makes quite a statement, a likely goal of the owner or sponsor. For comparison sake, a solar panel at the equator mounted vertically (north or south facing) would produce about 60-70% less annual energy than a solar panel mounted horizontally. If you see vertically mounted panels in most any location in the continental United States, the owner is probably just as interested in making a statement as they are in making solar power. However, it becomes more economically reasonable as you move toward northern latitudes. * Full disclosure: I am a Dallas Cowboys fan, so nothing related to Football in Philadelphia impresses me.